Melbourne is not just about what you see lining their streets or those sights to enjoy when you happen to visit and see what nature has to offer. It is also about fun events that turn out to be highlights of a holiday to this city. 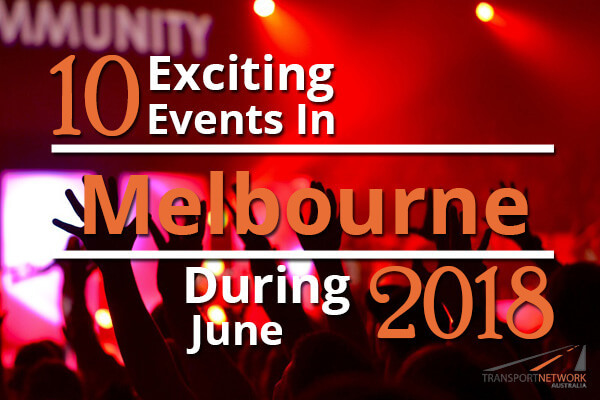 In case you have plans of visiting Melbourne in June 2018, take note of the following events that you can include in your itinerary. 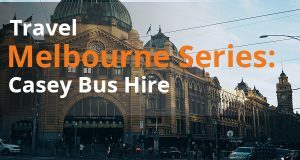 You can book Melbourne coach hire to help you get to the various venues for these events. Part of the progressive instrumental project in Melbourne, this is about to take your breath away with two brand new shows coming in the month of June. A project of Ro-Han, Melbourne’s guitar wizard, this show will specifically highlight the single entitled ‘Celestial.’ Take note that both shows are exclusive so you better book your tickets before you run out of one. Enjoy a great combination of eclectic mix of tunes, hooky melodies, and no less than intricate guitar work showcased in these performances. Do not miss on this probably once in a lifetime chance of your lives. Australian Centre for the Moving Image or ACMI invites you to witness a whole new world of excitement as a rabbit trails down a hole going to an enchanted world. You can catch this show from Monday to Sunday from 10am to 5pm. It started its run on April 5, 2018 and will last up until October 7, 2018. It will definitely delight you to know that the show is for the whole family to watch as it celebrates the history behind Lewis Carroll’s world-renowned stories like What Alice Found There, Alice’s Adventures in Wonderland and Alice’s Adventures Through the Looking Glass. Specifically found at Federation Square, now is your time to catch up if you want to know more about the science and technology, as well as the history, engineering, profiles, and genetics of your favourite MARVEL heroes like Iron Man, Captain America, Thor, and The Hulk amongst others. The show actually started last March and will run until June 30, 2018 with tickets sold at around $23 to $42. The show opens from Thursday to Sunday only with different schedules you must check out on. You can book for tickets online and get to witness beyond the Avengers you see in movies. 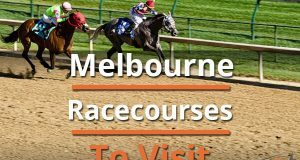 Melbourne Cricket Ground is opening its doors to an all-fun Sunday with the entire family and friends from April 8, 2018 to August 26, 2018. The show is free for kids 15 years old and below on Sundays. Accompany your children as they get to watch the most exciting AFL games and cheer for their favourite teams at the sidelines. They can also enjoy pre and post-game activities that will truly make the deal a real memorable one. One of the most important and memorable tales of all time, you can now experience the thrills of The Wizard of Oz at Regent Theatre from Tuesday to Sunday. Kicking off the show last May 12, 2018, the entire play will run until July 15, 2018. Book your tickets now and get to witness the spectacular story while you also sing to the popular tunes of E.Y. Harburg and Harold Arlen. You will also be enthralled to know that there are other songs that will surely ring a bell as you watch this play with the crowd. A fantastic musical treat, the theatrical take on The Wizard of Oz will make you remember more than just the songs entitled Over the Rainbow, and The Yellow Brick Road. Over the course of its three-day run which starts on June 1st and ends on June 3rd, you and your friends will get to discover new foods, new wines, and new products in this show. To be held at the Melbourne Convention and Exhibition Centre, the doors will open at 10am for three days and close at 6pm for June 1st and 2nd and 5 pm for June 3rd. Exhibitors will come not just from Australia but also other places around the world thus giving you a diverse selection of food and drinks that you may have never tasted in the past. The nine-day run of the world-famous Swan Lake will be showcased at Melbourne’s Princess Theatre from June 20 to 28, 2018. This will surely be an enthralling part of the holiday for those of you who are into magnificent showcases of talent, costume, and a whole lot of fun fare. A perfect event to portray the story of the beautiful Swan Princess and Prince Siegfried, this beautiful ballet will definitely leave a lot of great things to your memory. Deemed as Australia’s largest natural therapies, wellbeing, and health event this 2018, the MindBodySpirit Festival will be held at Melbourne Convention and Exhibit Centre on June 8, 2018 to June 11, 2018. Shows will be open on Friday to Monday and during the said dates and you will surely learn from inspirational seminars, and psychic reading among others. Try some body pampering too and watch stage performances that come free with your visit. As if all these are not enough, you also get to taste health foods during this event. Do not forget to buy jewellery, cosmetics, giftware, body treatments, and all other unique products from the fair. In case you have missed the premiere of this delightful and beautiful musical which started last February 16 at the Her Majesty’s Theatre in Melbourne, now is your chance to catch up and have a glimpse of the Beautiful: The Carole King Musical which will run until June 24, 2018. Tickets sell at $60 and shows are held at different times of the week from Tuesday to Sunday. Get to know Carole King and her extraordinary talent as told in this musical. Get to be a part of history with The Long Walk hosting its 14th annual event on June 2, 2018 at the Federation Square. With the purpose of bringing back indigenous people on the national agenda, this event will also be a great way to celebrate a whole lot of great things when it comes to entertainment. Performing live are Birdz, Soul Chic, Russell Robertson and Phil Celebrano, and Black Fire amongst others.